Part Deli. Part Diner. All good. David’s Deli and Restaurant has been around for over 30 years, which justly makes them a Wrightsville Beach institution. 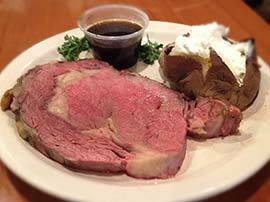 Now located in Lumina Commons, 1984 Eastwood Road, David’s Deli is a local favorite for breakfast, lunch and dinner. Owner Doug Efting serves up quality home-cooking style foods and friendly attentive service that their customers have come to know and expect. For many regulars, David’s staff knows just what each customer wants—which makes them feel right at home. Breakfast at David’ Deli is an eyeopener, with everything you might want for breakfast. 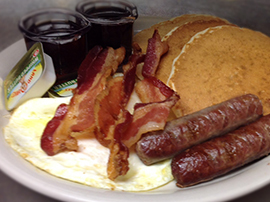 From that steaming cup of hot coffee to eggs, bacon, sausage, pancakes, hash browns and more. 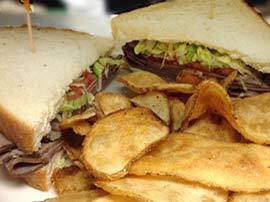 Lunch at David’s Deli can be a fast sandwich or a leisurely lunck with friends. David’s offers an exceptional variety of sandwiches, burgers, salads and more, as well as entrees that are available all day. Be sure to check out the weekday “Blackboard Specials” that always features a variety of delicious, off the menu, full course, Southern meals.